We are pleased to announce that A Plus Tree and Swift Tree Care are now officially operating as one. 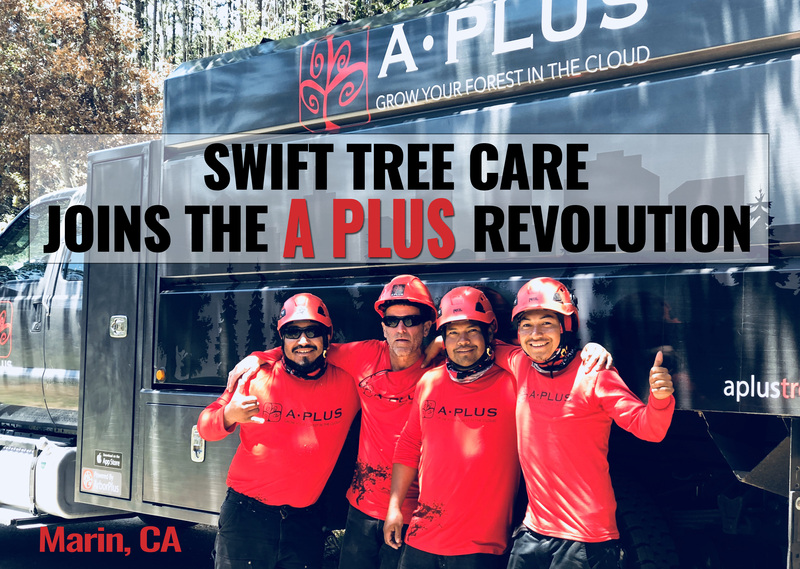 Swift Tree Care will now operate under A Plus Tree’s name and brand. We will provide the ultimate in tree care solutions and management by combining the expertise of A Plus Tree and Swift Tree Care, who have a combined 50+ years in tree care and landscape management. The integration work has begun with a key focus on our customers needs and exceeding the expectations our customers have come to expect. Kristi and Craig are partnering with the transition, and will retire in the near future. The Swift Tree staff and team are staying on board and we will continue to rely on their high levels of expertise to service your needs. We believe the joining of our two companies will enable our customers to experience unparallelled benefits and rapid efficiencies. The combination creates a large and comprehensive offering in tree care management. We encourage you to reach out to us with any questions you might have about this merger of two incredible tree care companies. Please don’t hesitate to email us at: cyrus@aplustree.com or call us at: 866-815-2525.